Here's a chance for three of you to win a John Frieda Precision Foam Colour or Clear Shine Luminous Glaze! The folks at John Frieda are giving away one of these to three readers! If you do at home hair coloring, you can choose a John Frieda Precision Foam Colour of your choice and if you don't, the Clear Shine Luminous Glaze is a great way to add some gloss and boost shine! Giveaway is US only and open until Dec 15th, 2012 11:59 p.m PST. I will pick three random winners on the 16th and contact you with your choice of product! Winner will have 48 hours to respond, failing which I will pick another winner. Leave a comment below on this post mentioning what you would like to win and how you follow my blog! All comments are moderated and may not show up immediately. I'll approve them as soon as possible. To enter, you'll have to be a subscriber through Google Friend Connect (or) Facebook (or) Twitter! You can do all or just one! Each one counts for an entry. Thanks for the this! I want to win a John Frieda Precision Foam Colour for my mom. It's almost time to redo my color and the John Frieda foam is my fav for at home coloring!! I follow via GFC as Iliana R and I would love to win because I color my hair frequently and have been wanting to try this hair color! I want to win the John Frieda Precision Foam Colour. Following via GFC - would love to win the glaze! I would love to try the Clear Shine Luminous Glaze & I follow you via GFC as Holly S.
I would love to win - need something to cover the greys! I would love to win the colour foam! I am happy to say that I have entered this giveaway! I'd love the shine one! 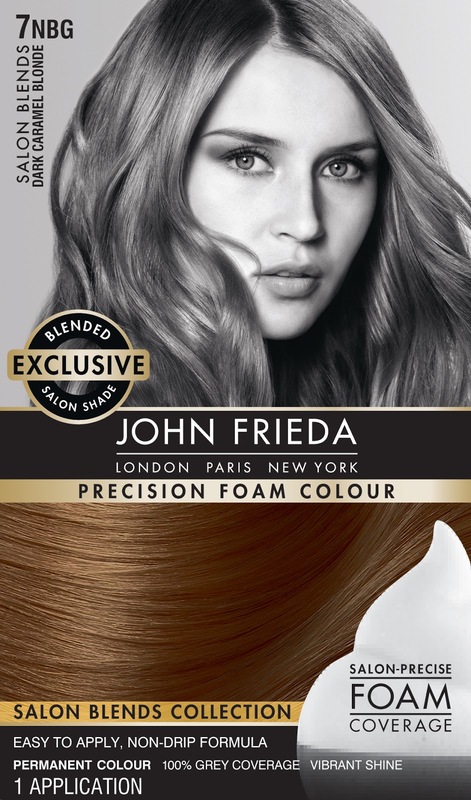 I would love to win the John Frieda Precision Foam Colour, 6G Light Golden Brown. I follow you via GFC. I like you on FB - Angela Cash.